DISCLAIMER: None of the following is intended to be investment advice. Also, full disclosure, any links to Coinbase and Binance, etc., include referrals. It actually benefits you to use them because we will both get an extra $10 worth of BTC for free if you deposit at least $100 to Coinbase. Thanks in advance if you follow the links when you make your accounts — and even if you don’t, I hope you find this article interesting! This is known as “Hanlon’s razor.” Now, I know I probably shouldn’t call people stupid, but in this case I’m not. What I really am saying here is that I actually believe that ignorance drives many of the anti-Bitcoin articles. Indeed, some of them are written by people who are probably intelligent or at least well-educated — for example, I’ve even seen professors writing about cryptocurrency but clearly not understanding how it works! And really, why not? Bitcoin is admittedly pretty complicated, especially behind the scenes. If you asked me to sit you down and explain to you the details of how crypto mining works with exacting specificity, I’m certain I’d run into some snags — and I happen to know an awful lot about this stuff! 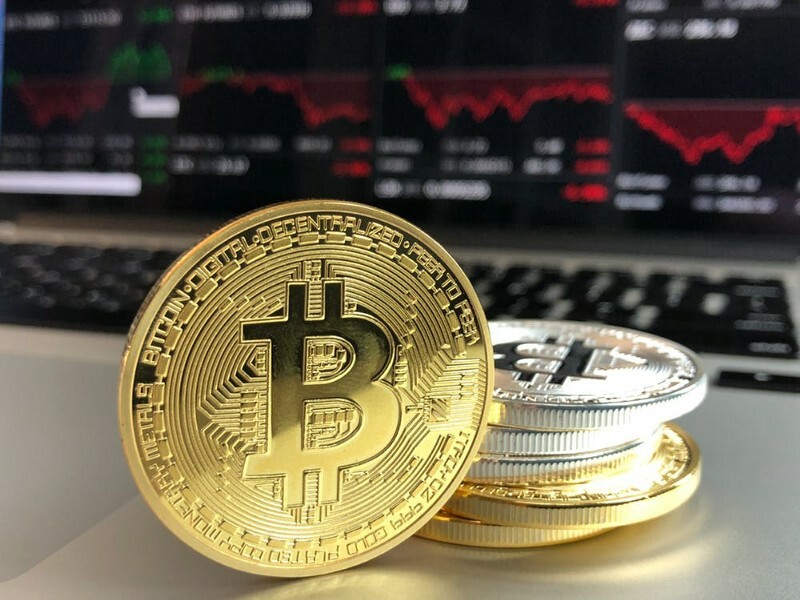 Let me save you the trouble of a click — the above article expresses an opinion which you’ve probably seen many times if you read about Bitcoin as often as me, and the opinion can be summed up as this: “If the price of Bitcoin drops below a certain amount, it won’t be profitable to mine the currency anymore. This means that transactions won’t be processed anymore, and Bitcoin will become entirely worthless almost immediately.” Let me tell you why this is complete bunk, and why Atulya Sarin — a doctorate in Finance, no less!— should have done a little more research before publishing this bit of substance-free sensationalism. Given the current state of the technology, bitcoin’s current price of around $7,000 — although still high compared to most of its history — is a relative disappointment. And this disappointment could lead to the demise of bitcoin. Anyone who thinks $7,000 is a “relative disappointment” isn’t paying attention. It’s a ludicrous statement; as I wrote in a recent article, $7,000 Bitcoin is relatively awesome — we’re still up over 500% over the course of the year. Moving past this low-hanging fruit, however, let’s get to the meat of why he’s wrong. What is “difficulty” and “target” in Bitcoin? The cost of making bitcoin is not a fixed-dollar amount; there is a feedback mechanism in mining any commodity. As the price of bitcoin increases, new entrants who want to mine bitcoin enter the market, increasing the effort required to mine a bitcoin, as its reward will be shared among a larger group of miners. Similarly, when the price of bitcoin falls and miners exit, the cost of mining decreases. However, the number of miners cannot fall below a certain level, because without the miners providing the computing power to maintain the ledger, the bitcoin blockchain will not remain viable. The real concern is that if the price of bitcoin continues to fall, mining will become infeasible, and without enough participants providing the computing power to record the transactions, the transactions will be infeasible and bitcoin will become worthless. I really don’t like the fact that he acknowledges the method by which the cost of mining decreases, but then quickly hand-waves it away. His argument falls completely off the rails at the end when he says that there won’t be enough participants to provide the computing power to record the transactions to run the network. Here’s the thing: people have invested an enormous amount of money into Bitcoin mining hardware. Expensive ASICS (“Application-specific integrated circuit” — in this case, a computer specifically designed to mine Bitcoin) are all the rage in China, and gigantic mining farms have been built close to hydroelectric dams in order to benefit from the cheap electricity prices. While there has been some regulatory action on this, the point is clear: there are very savvy businessmen with an enormous amount of money invested in Bitcoin mining hardware. They will continue mining operations well past the point of short-term profitability — if that even happens — if only for speculative reasons. The idea that there just won’t be enough hashing power to facilitate the Bitcoin network is specious for another reason: transaction fees. This one wasn’t mentioned at all in the particular article I’m responding to. The basic idea is that if enough people are using the network, there will always be transaction fees to be gained from mining. Indeed, on a long enough timeline, the block reward will go away entirely, and the only reward miners will get are transaction fees. My point is that if your blocks are full of transactions, a miner is getting a nice fat pile of transaction fees; even if Bitcoin isn’t worth very much at the time, this is an extra ever-present reward outside of the mining block reward itself. The point is that as long as there are people performing transactions with Bitcoin, there is an incentive to keep mining. • The magnitudes of past declines have never been as high as the magnitude of the recent decline. Factually wrong. What about when Bitcoin was worth about $1000 on December 2nd, 2013 and fell to around $225 by August of 2015? Does that 80% decline not count for some reason? • The losers in the recent decline are new investors who are unlikely to come back to bitcoin until there is much more clarity around bitcoin’s use cases. Maybe, maybe not. If these people were buying Bitcoin with the goal of getting rich quick, it doesn’t matter anyway; these sorts of people are inevitably parted from their money. Simply put, they aren’t the kind of investors that last long in any market. • The bitcoin futures markets XBTJ8, +3.83% BTCJ8, +4.10% did not exist before, and these markets allow miners to estimate their mining losses and profits at the outset. If I can buy in a futures market at a price below my mining costs, why would I ever mine for a sure loss? This last bit is an interesting argument. I can’t say that I’m very familiar with futures yet, so anything I say about them should be taken with a grain of salt for now. With that said, my response would be that futures markets are just that — an estimate. The argument seems a little specious to me, as well; I imagine it’s sometimes possible to buy gold in a future market at a price below mining costs, but established businessmen still go into the depths of Africa to haul it up from the earth. If anyone ever tells you that Bitcoin will go into some sort of endless death spiral if the price goes below a certain point, they’re wrong. The idea that all (or even most) miners will abandon Bitcoin is totally specious. If anyone makes this argument, you can point them towards this article. One more thing: for what it’s worth, I want to reiterate that I do not think Atulya Sarin — the professor who wrote the article I am responding to — is a bad, stupid, or opportunistically malicious person. I just fundamentally disagree with his evaluation of what happens when Bitcoin’s price falls, and I think he — like many others who write about Bitcoin — is missing out on some of the most important fine details of this emergent online currency. Know of any other hot-button issues with cryptocurrencies? Want me to write about them? Let me know! I love to hear feedback from people and get ideas on what cryptocurrency topics I should research. You never know, I might even write an article about your suggestion! Trade them for altcoins on Binance, KuCoin, HitBTC, or Changelly. Out of these, Binance is my preferred exchange. It has recently become possible to buy bitcoins on Binance directly, as well! If you’re looking for a more lengthy guide to purchasing coins from start to finish, just take a look at my page — I’ve written a lot about this! Any of my instructional altcoin articles (such as this one) will first explain in detail how to get Bitcoin if that’s all you want.